@Aya-Kun nice! How do you like it? You should post up your experiences and what you like / dislike .. Or topics on games. @targetrasp what's the dock you're taking about? You should create a topic on that dock. I think I missed it. @Kinikko - dumb question... but how do you add games? I bought Lego star wars force awakens on super sale. My son and I will be tackling it after 100% -ing Lego jurassic park. You can even install different emulation software and play all kinds of different stuff on it from different consoles. I've not done this kind of stuff though but it seems pretty straightforward if you just follow the instructions. @targetrasp ah ok. I thought you meant a different kind of dock or something with cool new functionality. $60 is a little steep imo for the unit. ha, nope. I thought 69 was good, since it started out at 100.
actually, you're probably right. It's sat in a box since I bought it. I can't decide where I want it. @Aya-Kun what is Nier Automata? How did the vr turn out? Might be a cool new topic! They marked down all the Playstation VR real cheap, $150, at my local Walmart a couple of months ago. They sold them all out. And they haven't replaced them. I sort of wonder how a racing game would be on one. I got two of the NES Classic Minis, an extra controller, and some controller extensions. I'll put one in a protective case and / or have it graded like I did with the snes classic and play with one. A couple weeks ago we sold a bunch of our old stuff we didn't need and got a PSVR with most of the games they have out for it. Jacob loves it, and it is pretty cool. I just need to get new glasses cause my nose piece on this pair is broken and it digs into my nose with the VR on. 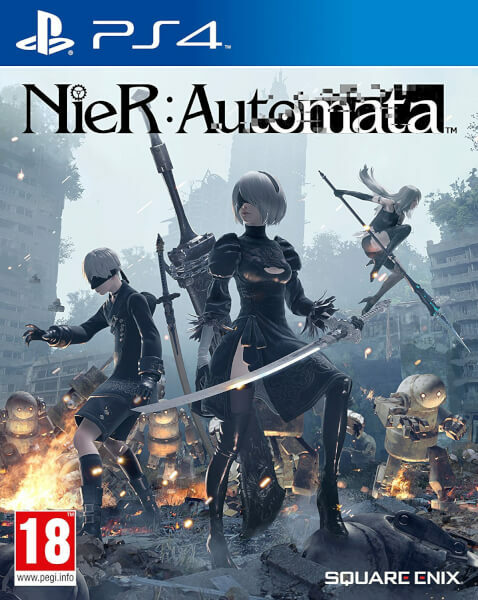 Nier Automata is this, its kinda a squeal to Nier that came out in 2010 I loved the original, and I played the beta of this a while back but never had a chance to pick it up. It kept its price really well and only recently went down in the sale. Found The limited edition version of Tekken 6 for the 360 at a yard sale for $7.00 CIB. 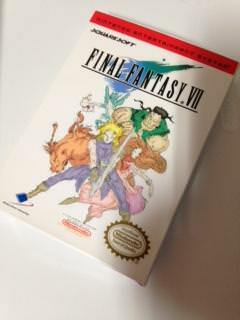 The box was and controller was in good shape but the game was unopened. I also bought GTA 5, Dark Souls, Dark Souls 2, Xcom, and Skyrim for $2.00 each. I've already got all the games but those were in almost pristine shape. Oddly enough the arcade stick smells musty or smoky while the games and even the box the stick came in doesn't. I guess it'll go in the clean and repair pile with that filthy gamecube i picked up a little while back. Just picked up Xenoblade Chronicles 3DS and Detroit: Become Human both used today after trading a handful of crap I don't play anymore. @Aya-Kun Thakn you for posting that... it took me a bit to see the reply. That looks pretty interesting - I read up a bit online as well. Interesting art style... and buh... some of those robots have creepy faces lol. Bought Okami HD, Marvel vs Capcom Infinite, and Atelier Sophie: The Alchemist of the Mysterious Book with a coupon I had with my Power up points at Gamestop. Just went there to preorder Spiderman and ended up getting 3 other games. XD Only ended up paying about $10 each for those though with all my coupons. OOoo… Okami HD. That's a pretty good game. I dig it. I tried to buy Psyvariar on the Switch... Pre-order that is. However, they took it down. GRrrr. I picked up the Shenmue I & II collection and Horizon Zero Dawn: Complete Collection for PS4. I'm happy to see that HZD has dropped in price, I've been wanting to play it for a while. Mostly because of the graphic fidelity. Horizon Zero Dawn - we need a topic. lol DAngit @CreepinDeth … it's less than $20. This makes me want to buy it. Gaming backlog fodder?!? Or CDG Multiplayer gaming fodder? Nevermind… just noticed it's single player only. I still may get it … <$20 = hard to not buy. It was $17 last week both digitally and physically. Impulse buy for me at that point. And yeah, a topic would be great. Reading and watching the devs talk about the tech that went behind this game is really interesting to me. yup... I just Impulse bought it as well... thanks for helping me fall off the cliff. Ha! Well, at this point, happy gaming! This game was rated 9/10 by IGN... more posting about that soon. The steelbook design is pretty cool as well - as noted in the above topic. All SNES games. 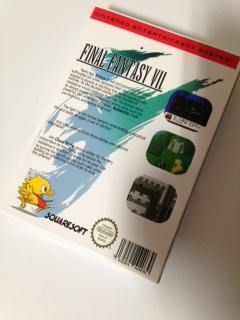 And one NES that I can hardly wait for Final Fantasy 7. I have the box already, still waiting for the game. The games have started pouring in. I love it when it is like this! I picked up some cheap stuff from Gamestops retro selection..
You guys both scored some awesome games. lol.... Captain Commando. I have found memories of that game. I Still have my copy. @targetrasp I have 1 question - How did you get Super Mario World: Super Mario Advance 2 as "cheap stuff?" I thought that was still expensive... ? And Final Fantasy Chrystal Chronicles. I Remember that game. Game looks amazing. Let us know how it is. @CreepinDeth - Will Do! I have some screenshots of the case to load up. I received the game a day early ... should've been 2 days. I'll post a topic on this soon - but don't order other stuff with your pre-orders LOL. They can delay the rest of your order. @targetrasp Wow... have those games come down in price? For awhile... I thought they were a lot higher. Maybe I'm only thinking of Super Mario Advance 4 - Super Mario Bros. 3.... but I could've sworn others skyrocketed in price. The GBA stuff is sub $10.00... I've not looked at (or for) Yoshi's Island so I'm not sure (I hate that game) if it's high. The SNES Mario allstars with Super Mario world is still a little high but the gba stuff is dirt cheap it seems. Even stuff like Golden Sun is super reasonable. I don't know what happened but i'm stocking up on GBA as much as I can.